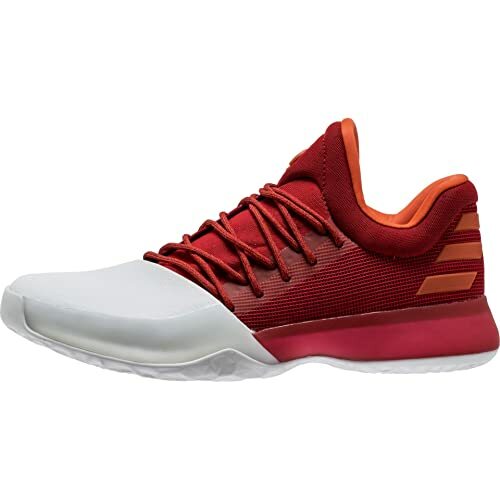 You must be here because you are searching for the best basketball shoes for jumping right? When it comes to basketball shoes, you want the most out of the dollar right? It would be disappointing to know that you paid for the sneakers and the results are unsatisfactory. We are here to help prevent that from happening. Basketball shoes are after all an investment. A lot of things are on the line, your feet’s wellbeing, game performance, and style (in the fashion sense). Sometimes we want the shoes that represents who we are. If we are high-flyers or we want to be high-flyers, we need basketball shoes that enables us to be the high-flyers we ought to be. We are providing you the best basketball shoes for jumping. Please scroll down to see the list. First of all the Adidas Dame 3 Chinese New Year edition is a huge hit in China. Anyway, Adidas has another gem here. That is Damian Lillard. The Bouncy Lizard is what I like to call him. Did you see his game? His vertical? We will let you in an interesting pattern we discovered amongst NBA players and their sneakers. Usually, when you spot a player who is over-achieving in the vertical leaping department, you take notice of his shoes. You have to do that immediately because you want the model he is on at the current time. 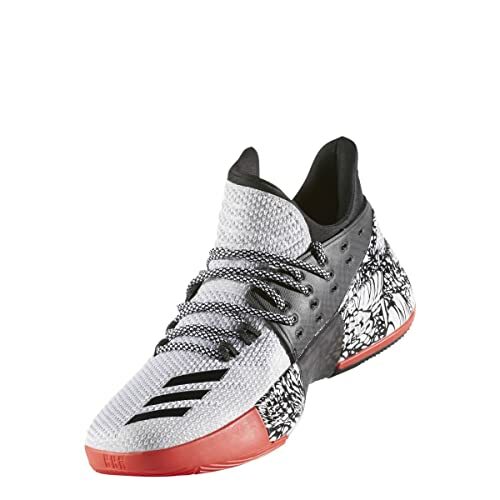 Not to mention, the Adidas Dame 3s are the cheapest signature shoes in the market today. The best budget for a high flying pair of sneakers, all-time perhaps. You can quite a few different color ways here. Dame 3 red, Dame 3 white, Dame 3 black, and so on. If we look at it now, compared to the Dame 1, we can see how adidas has been evolving. We get to witness adidas making a real comeback in the Dame series. Who could’ve imagined right? This pair is a must! Adidas is banking on James Harden. He is pulling it off though. Have you seen what he is doing as of late? Notice how he does all that and also is jumping. Jumping real high! The Adidas Harden Vol. 1 is an excellent shoe for players who are looking for that extra bounce. Adidas brought their most responsive cushion ever in these Vol. 1s. It also has a wraparound tongue construction which enables for extra protection. So, you do not have to worry about the landing after take-off. Excellent! The Harden Vol. 1 pricing is great. Very affordable. They are not too expensive, which can be a huge turn off these days, especially from adidas. Compared to the Harden 1 primeknit, we would absolutely recommend the Harden Vol. 1s, mainly because it is actually Harden’s main basketball sneakers right now, the signatures. He also might win MVP this season, so it is an excellent selling point. Agh! What we meant was you should get them now, regardless of the marketing psychology. Shocker? The KD 8s are one of the best basketball shoes for jumping. However, we cannot ignore the KD 9s. On production theory, they should be better than the KD 8s right? Well, they are but it is very close. So close that sometimes you may say there is no difference in the performance. Your max vert is the same. So, at least they did a good job to maintain the plus points the following year right? There is a style difference in KD 9 Elite and the KD 9 Gold. You know what it is? The coloring and side patterns. Ever been an elite high flyer? Ever jumped with Gold in Style? It also comes with various other colorways. KD 9 USA mode. All-white and all-black. You can even go with the Oreo-colorway. Regardless, the sneakers are a dream come true. It is Kevin Durant’s latest signature shoe and the current ones that he is using right now. Again, like the KD 8s, the fitting may be an issue for certain players, such as wide or flat feet players, something Nike hasn’t worked on even with the 9s. Agh! One of the most stylist shoes in the market today. When you know that it looks good on the floor, you are then excited to see how it looks when you are in the air. The traction is fantastic. You can call the cushioning Captain of low tops in the market today. It is light, but not too light. You feel like you have lost weight and you are ready for take-off. Interestingly, Kevin Durant is not a heavy player. Related? No? Yes? When the cushioning and traction is so advanced and perfect, the feeling for air time increases. Yes, it is a great pair of basketball shoes for jumping, rebounding, dunking and what not. 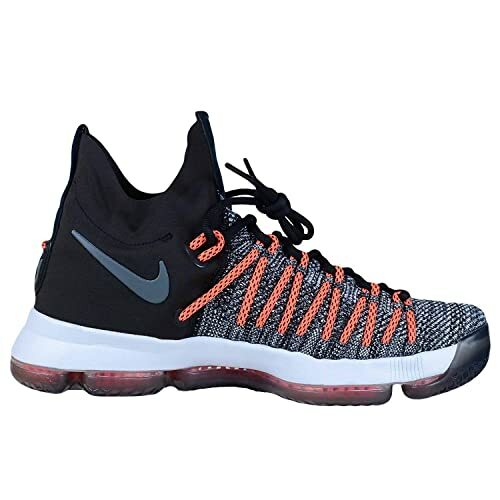 The KD 8’s price seems to be very reasonable as well. It fits the dunking budget, if you may. The KD 8’s sizing has been on the spot light as of late. It is most suited for narrow feet athletes. Wide and flat feet customers have a difficult time in the take-off and landing activities. Oh, and I almost forgot to mention. Sorry, we forgot to mention, since my editor is here as well. The main reason to look forward to these basketball sneakers is the Air Bubble Pop. The KD 8 has done a terrific job in the sole department. 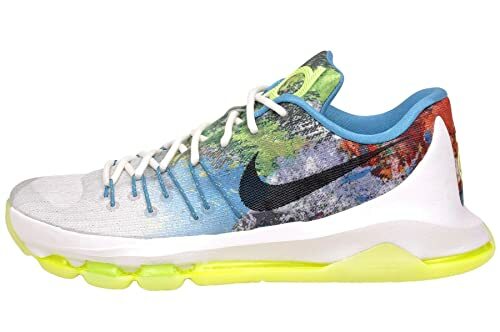 Although, you see a lot of ads of KD 8 footlocker and what not, but trust us, you can still enjoy them and be totally surprised at first when you receive them before trying them out. That is why we are here for right? Have you heard of Ektio? No? Yes? I personally owned one. They might not be the most attractive basketball shoes but they are undeniably splendid. The first sight may be a turn off for a lot of people. What do you think? I actually like it. It is the sole essence of the brand “Ektio” in one picture. So how about when you try it? Well, that is a good question. A good basketball question. The cushion felt average. Ok fine, it felt like it was, below average. You could feel the edges when your toes hit them. That is an unpleasant feeling. However, wearing thick socks or doubling it does the trick. So, extra accessories? Yea, most definitely. The Ektio Alexio’s main strong point is their ankle protection. The support is probably the best in the business. Basketball shoes preventing ankle sprains are very sought for these days, it is crazy. How can a pair of basketball shoes not make it on our list when it has the best ankle protection? It will make it on www.dunkfeed.com, but can you jump higher with them? The answer is yes. It is one of the heavier shoes in the industry but boy, when you know your ankles are that secured, it gives an extra boost, a pychological boost which directly effects the physical performance. My highest vert reach was with Ektios. 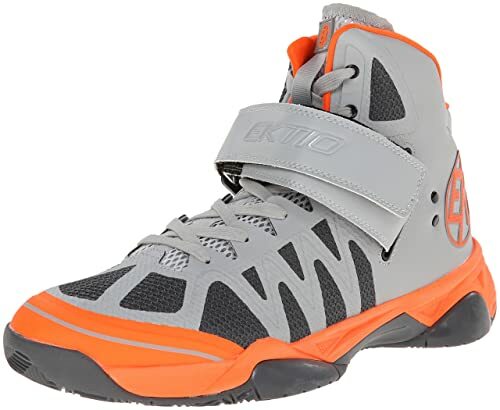 Where can I buy Ektio shoes? Lets just say you are at the right place! For our fifth shoe we have decided to go retro. Why? Only because it is a fantastic retro model designed sneaker which deserves some recognition. Retros are not just for fashion purposes but also for Game Time action. Synthetic with a rubber sole. So far so good? Don’t worry, they are 100% authentic. 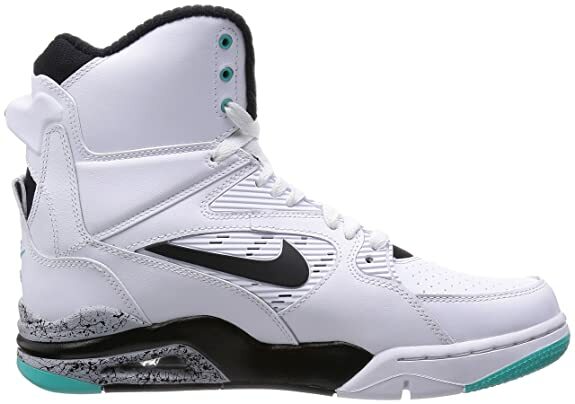 The Nike Air Command Force Basketball shoes are one of the most durable retro shoes you can find in the market today. 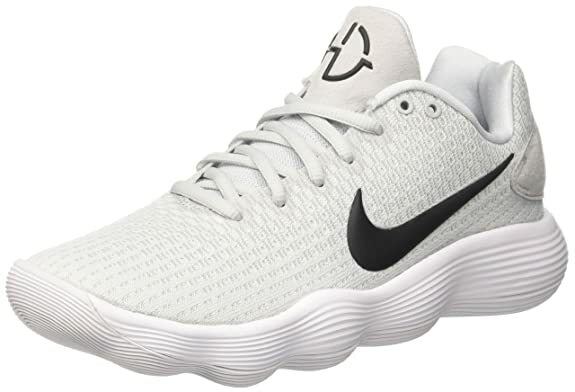 A very comfortable and solid basketball shoe. Might be cheaper than the Air Force 1s, but hey, it also gives it a run to be honest. Nike has also been generous here with the color/models. You can get the Nike Air Command force in red, billy hoyle, denim, black, spurs, and various others. The best retro to get in the market today. Go for it. Just take a closer look. The Textile? Mind blowing. It gives you the rubber sole that of a Hyperdunk, a Lebron Zoom Soldiers. It gives you the confidence that you need to jump higher, work on your vert, and have a safe landing. The Herringbone sole pattern is mesmerizing. A lot is going on and they still manage to keep their fashion sense with the Nike Zoom unit in the forefoot. Clever. Sounds like Kyrie had a hand in this one right? The traction is so advanced, it is not fair for its competitors. The cushioning is for lightweight players. So, by default these shoes are not for centers or power forwards, but I think you got that already. 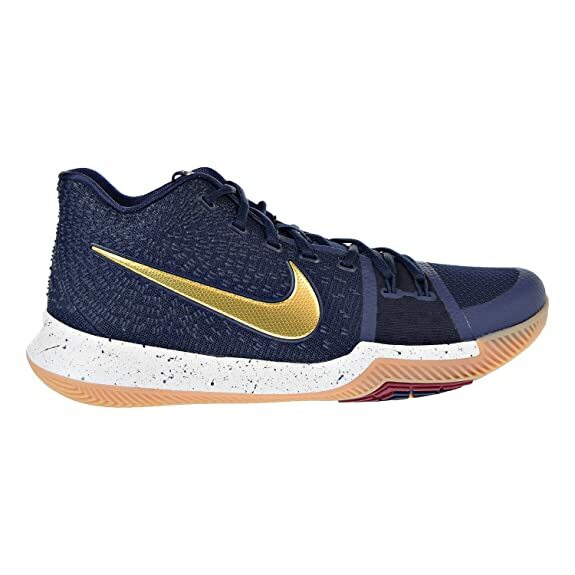 A very durable and comfortable pair of basketball sneakers the Kyrie 3s. With this series, you can get the black, bruce lee, red, white, black ice, samurai, and multiple other colorways. Nike Kyrie 3s absolutely nailed it. Time to go get some! The Under Armour ClutchFit Drive series has been a like a roller coaster ride, but in each stage upgrade, it is an upgrade, and it gets better and better. Compared to Clutchfit Drive 1s, the UA ClutchFit Drive 3 has the better rubber sole and external heel counter. The heel counter provides way more stability and support. 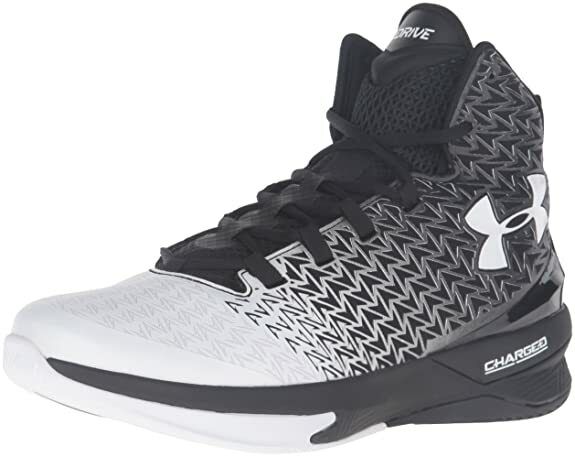 Compared with the ClutchFit Drive 2s, the UA ClutchFit Drive 3s has all and the extra achilles pillow which provides additional padding & comfort around the heel. People looking for shoes that help you jump and dunk easier should keep notice here. The updated ClutchFit technology respires, elasticities, and supports the feet better than ever before. Unlike the Hyperdunk 2017s, you can actually select either model. They will give you the same benefits and our reviews are consistent with most of the series they come up with. For example, UA ClutchFit Drive 3 low are equally great. You have to consider the “low” aspect of the shoe’s series, meaning, lesser protection. But hey, that is with all “low” tops. Steph Curry has not been injured for quite some time now and he is having fantastic seasons, one after another. With the extra added Achilles cushioning, these sneakers are suitable for high-flyers. The lace less Nike Lebron Soldier XI SFG structures a pioneering sustenance system to keep your foot protected. These Lebron Soldiers have 4 hook-and-loop modifiable flexible strips, trivial lattice upper, the cushioning from Zoom technology, tug tabs, and the rubber sole with multi-surface traction. The rubber sole’s technology is very similar with the Nike Hyperdunk 2017s. Well, they are both products of “Nike” so nothing surprising there. If you have feet and ankle problems, but are still ambitious to fly high with a pair of basketball shoes but aren’t sure which one to get, don’t look any further. 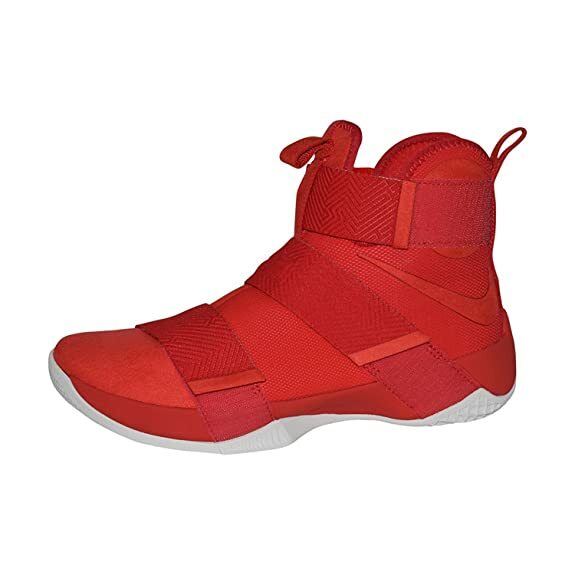 Even if you are coming from other tabs where we have listed Best shoes for Flat Feet, Best shoes for ankle support, and or Best shoes for wide feet, the LeBron Soldiers X will make sure you are covered in all aspects and are ready for take-off. Be picky with the shoes you wear. It is your right, absolutely. The Lebron 10s does indeed make you feel like you are balling on the cloud! Fits like a sock with great ankle support. Excellent pair of sneakers, with style as well. Fit for the King. Fit for you. The LeBron Soldier 10s comes in black, camo, red, pink, white, and red & black. If you want a more detailed review, keep digging. In short, we highly recommend this pair of sneakers for the sporty/high-flying athletes. First things first! The Hyperdunk 2017s are one of the best engineered shoes you can come across in the basketball world. With synthetic material showering across the shoe, the solid rubber with multi-directional traction pattern is the biggest highlight. Not only does it give the athletic players the comfort, but also the assurance to fly as high as you want, and we will take care of the landing. Interested in reaching better heights on your jump then check this out it helped me with my dunking.